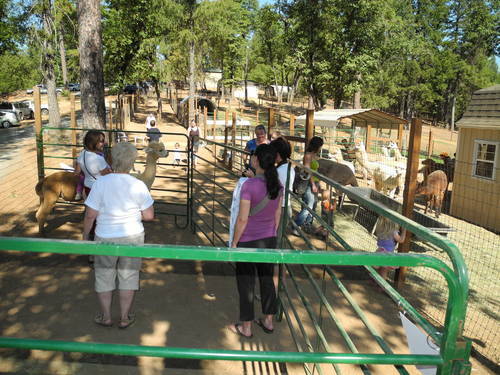 Sierra Rose Alpacas is Alpaca Farm, Alpaca Yarn and Fiber Store located in Grass Valley, California owned by Howard and Cynthia Kuhlmann. Our vision: Is to help you enjoy "An Environmentally Friendly Way to Enrich Your Family's Lifestyle." We have created a vibrant and sustainable ranch where we lovingly breed, care for and sell quality alpacas, educate and support our customers, and produce and sell “Made in America” Alpaca products. We love everything alpaca, and have a wide variety of alpaca yarn from our animals available at our ranch store. We hand-dye our yarn from plants grown here too! We have award winning alpacas, with 6 in the top 1% for fineness consistently year after year. We strive to bring the American-bred Alpaca and USA fleece goods to a level of quality, reputation and distinction that surpasses the overseas market by not only breeding with excellence, but providing the support and education that will enable others to do the same, thus ensuring the viability of Alpaca ranchers for generations to come. 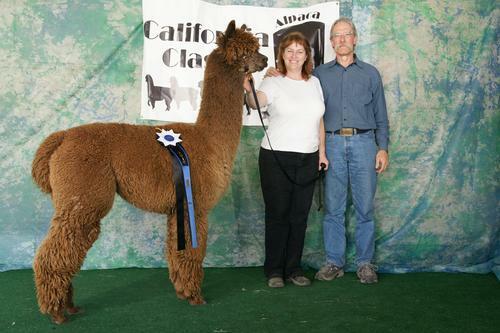 AND, maybe most importantly - Alpacas are simply a fun animal to be around!! The Perfect Alpaca is Waiting For YOU at Sierra Rose! Have you dreamed about having a sustainable small farm? One where you and your family could live in harmony with nature, your kids could learn about science in the real world instead of just the classroom, and you could sustain your family on your own produce? We certainly had that dream. With our greatest life adventure (through hard work, planning and more than a little luck) we have a working Alpaca ranch. Our Alpacas create the most life-giving, rich manure which composts into an amazing fertilizer. We use this to feed our pastures, our flowers and landscaping, and our organic vegetable gardens. But, there’s more to sustainable farming than just fertilizer. Our goal was to create a ‘circle of sustainability’ with our ranch. The land feeds the Alpacas, the Alpacas feed the plants, we eat the veggies and enjoy the flowers. A very symbiotic relationship, indeed. The extraordinary bond between humans and the animals who share our lives is one that gives joy and purpose in amounts far greater than the effort we expend. Alpacas do more than help us to feed our family and friends. Their fleece is amazingly soft and strong – it is often compared to Cashmere. Shearing takes place once per year, after which time the fleece regrows. We turn their fleece into yarn, rovings (for do it yourself spinners and fiber artists), and so many beautiful, unique products. It is entirely possible to get several winter garments from the fleece of one animal. 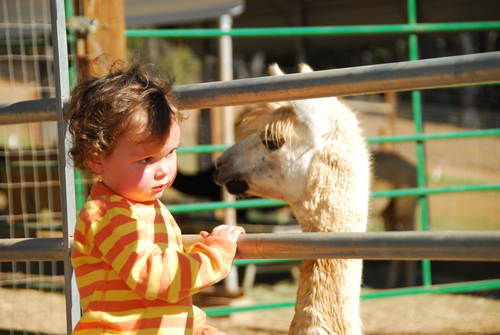 We enjoy sharing the magic of alpacas and sustainable farming with you. Visits are made by appointment only. Private visits usually run about 1 hour, cost $20 for up to 4 people. This is refunded to you if you purchase alpacas from us, and at time of purchase. We sell our friendly alpacas, our fleece and fleece products from them, and other U.S.A. made alpaca products. We accept cash, checks, major credit cars, and financing. We accept 12 month payments with no interest with 20% down.